Dragonfly Press is a great small press here in California. 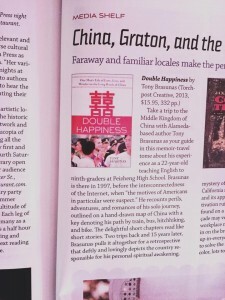 One of their staff, Pushpa MacFarlane, has just published a perceptive review of Double Happiness. Many thanks Dragonfly and Ms. MacFarlane. Meanwhile, you can still get Double Happiness for free during August.